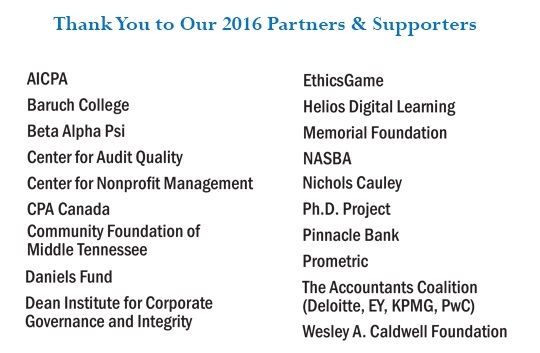 The NASBA Center for the Public Trust (CPT) team would like to sincerely thank all of the donors and partners who have supported our programs throughout 2016. We appreciate all that you do to help us advance ethical leadership throughout the United States. Thank you!